It's HOT outside...so how about a refreshing drink recipe from Martha Stewart to help beat the heat! 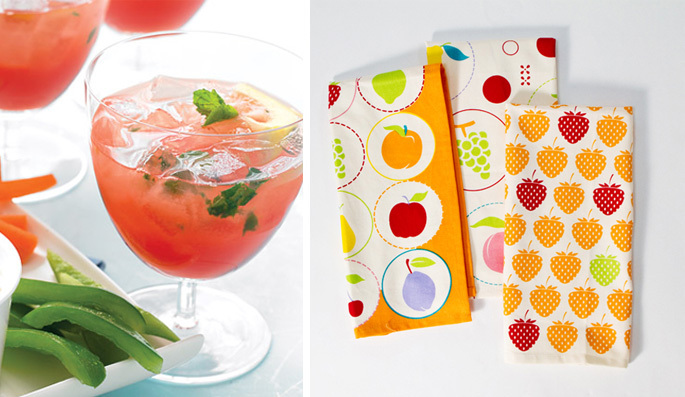 Serve it with the Berry Delight tea towels from House 8810 and have yourself an adorable AND refreshing afternoon. In a blender, puree watermelon in batches until smooth; pour through a fine-mesh sieve into pitcher (you should have about 8 cups of juice). Stir to combine. (Refrigerate, covered, up to 3 days.) Add vodka, if using; serve over ice.